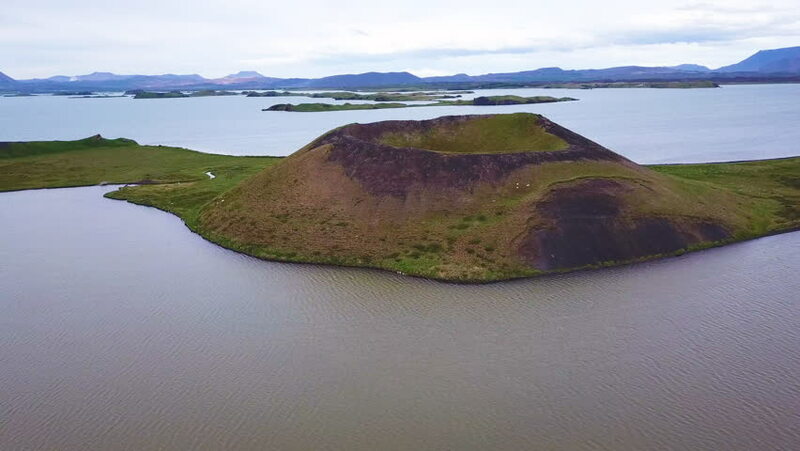 ICELAND - CIRCA 2018 - Beautiful aerial over volcanic cones in Lake Myvatn, Iceland. 4k00:08Aerial drone scene of green grass coast of Lacar lake in Patagonia Argentina. Camera moving backwards fast close to the flor and going up. San Martin de los Andes. 4k00:35Island of St. Nicolas. Montenegro.